A Brookings paper proposes replacing all tax-advantaged retirement plans with a single plan: The Universal Retirement Savings Account. URSAs would remove fiduciary liability from plan sponsors. With just over a month left in the comment period for the Department of Labor’s proposed conflict-of-interest rule, a new paper from the Brookings Institute is proposing policies that would make the potential disruptiveness of the DOL’s rule seem insignificant. In a Hamilton Project paper, the policy group at Brookings that addresses retirement security, John Friedman, an economist at Brown University, proposes Congress scrap all existing tax-preferred retirement savings plans and replace them with a single plan—the Universal Retirement Savings Account. The savings plan would follow workers throughout their careers, and incentivize employers with a tax credit for every worker that deferred at least 3 percent of earnings. Deferral rates would increase 1 percent annually, be capped at 8 percent, and sponsors’ tax credits would increase accordingly. The tax credits would count against the employers’ share of payroll taxes, which of course fund Social Security. Lost revenue from those tax credits would be offset by limiting the tax savings currently enjoyed by retirement savers, “especially higher-income taxpayers,” according to the paper. Friedman remains “agnostic” as to the pre-tax treatment of contributions in URSAs. If Congress were to designate URSAs as pre-tax accounts, joint annual contributions would be limited to $35,000, with all contributions deductible at a rate capped at 25 percent. 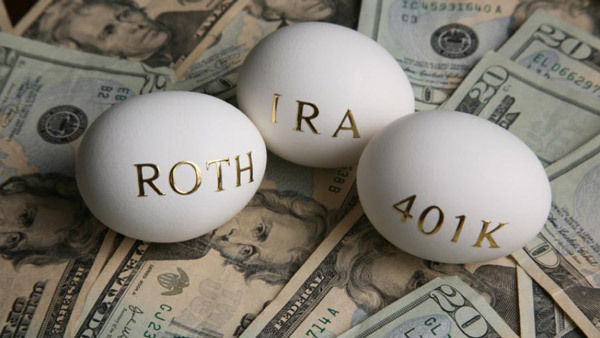 If URSAs were set up as post-tax accounts, annual contribution limits would be set at $25,000, and aggregate capital gains on assets drawn down in retirement would be taxed at half the normal capital gains rate, instead of being tax-free, as they are now in Roth IRA and Roth 401(k) savings plans. By limiting individual contributions and tax advantages, URSAs would only affect the wealthiest savers, according to Friedman’s research, as only 1 percent of savers defer more than the new limits would allow, and they are “almost exclusively from the top 5 percent of the income distribution,” according to a brief on the research. Those savings would fund sponsors’ new tax incentives. Friedman sweetens the pot for sponsors by removing fiduciary liability from their desks. Providers of investment vehicles would be the new fiduciaries, the new market for which would be built by existing fund companies like BlackRock, Fidelity, and Vanguard, or with “a potential new class of dedicated account providers that could arise to serve this market without offering investment products of their own,” according to the paper. Low-fee index funds would be the preferred investment vehicles, but firms would be free to provide other products in accord with cheaper indexed options, as well as charge a 1 basis point annual fee on assets to cover the cost of providers’ fiduciary exposure. A brief on the paper suggests the DOL’s jurisdiction over retirement plans would be phased out, as regulatory authority would ultimately be assumed by the Treasury Department and the Consumer Financial Protection Bureau, which was established under Dodd-Frank. Friedman will present his paper at a Brookings panel next week. Labor Secretary Thomas Perez is scheduled to attend.